Making time to do the things you love means you'll do more of them. This week brought with it a big move. It's not what any of us really wanted but life is just like that sometimes. To make a long story really very short ... Dad moved from Alta Vista Senior Living in Prescott to Surprise Memory Care. Really - the name is "Surprise!" Memory Care and it was not a very welcomed surprise to dad. Nevertheless, the move went much better than any of us expected. There were some moments here and there that got my heart pumping but overall ... success. 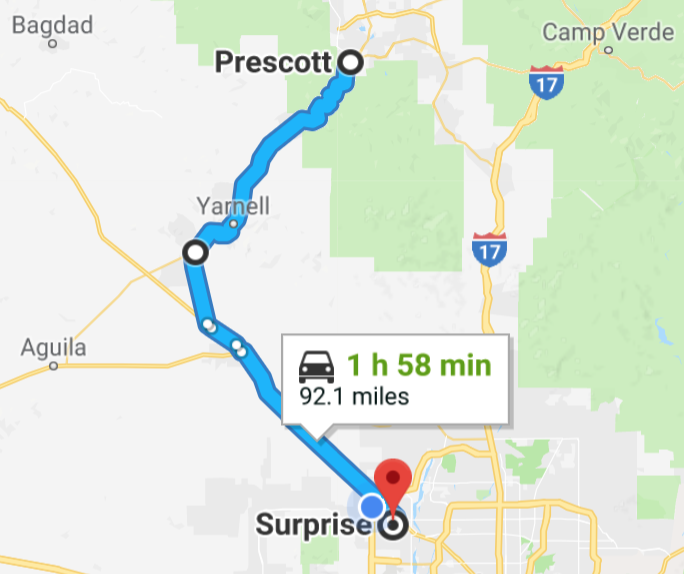 That meant two trips to Prescott this week. I still need to go back up there to gather some bits and pieces. So, I'll go up there this weekend too. 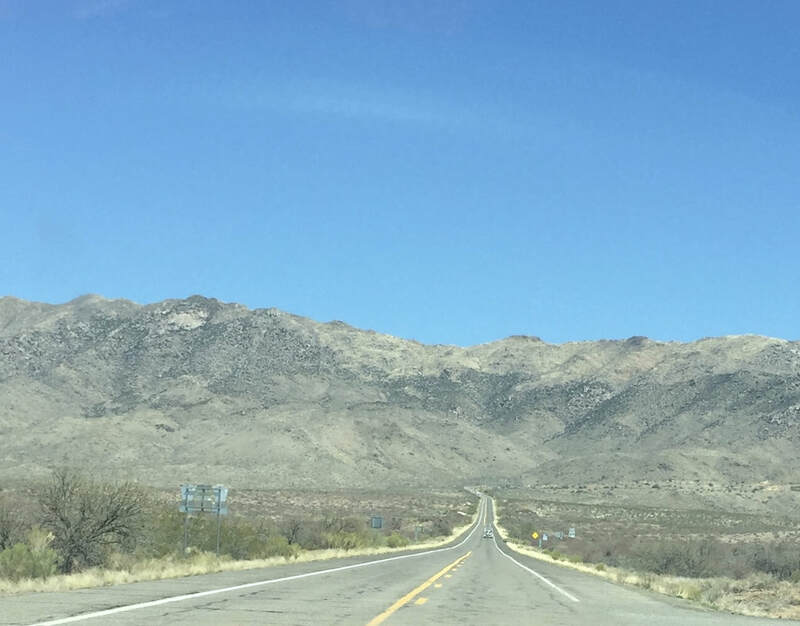 The drive to and from Prescott through Wickenburg, Yarnell and Skull Valley, has some of the prettiest high desert scenery. There are misty mountains, buttes and interesting rock formations all along the way. I don't mind the drive. I think I actually look forward to it. In the next couple of weeks, Dayton will be looming bright on the horizon. I'll be heading there next week (Saturday the 12th) if I can swing it. I'm still holding out hope to get there for a couple of weeks before moving on to England. 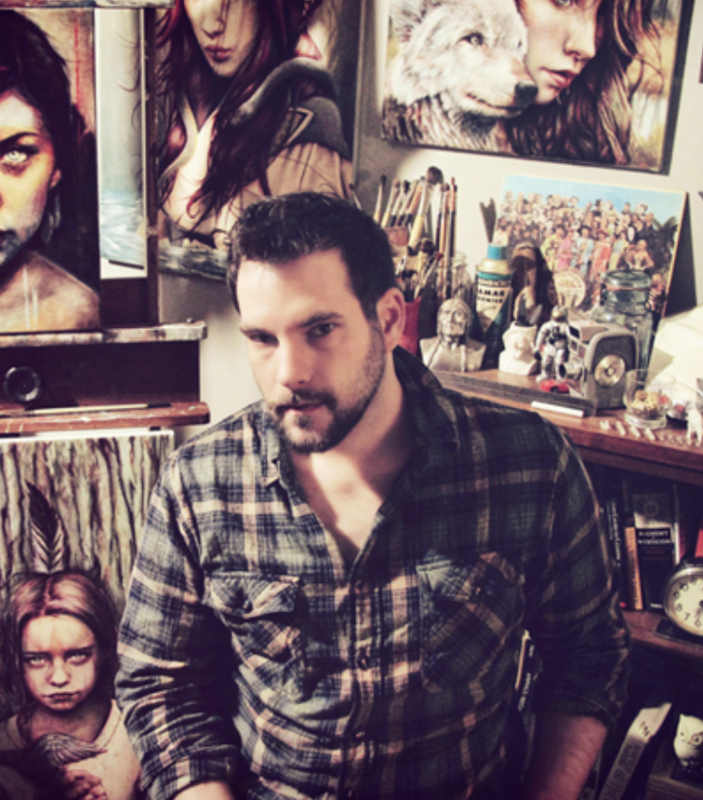 This week's painter is Michael Shapcott. He lives and works out of central Connecticut. His work is filled with colorful layers and drawing. 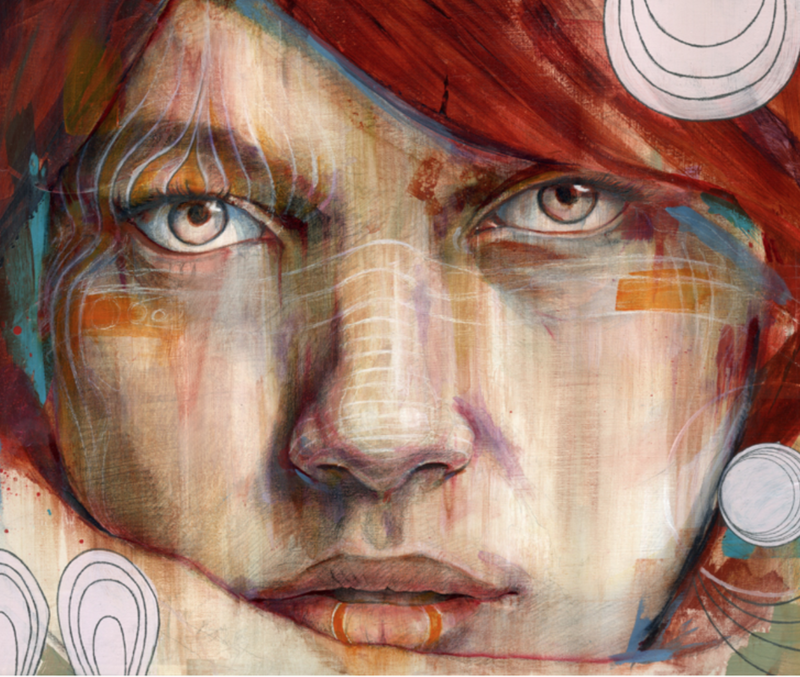 I ran across Michael Shapcott again while looking for YouTube videos to help me improve my painting. His work, to me, is distinctive. He mostly paints portraits and some of them are kind of strange in a cool sort of a way. As you can see below they are just straight portraits for they are created in a way that I like. Most of his paintings have a bit of a haunted look to them. I think they're worth a look. I like things that are a bit out of the ordinary. I like things that are a bit different. The layers in his paintings give the eye something interesting to look at. It gives them more depth. It captures my attention. I often get new ideas all the time from artists I watch online. I like this guy and I continue to go back to his work and videos.